GARAM MASALA is a blend of ground spices. It is used alone or with other seasonings. Garam masala is pungent, but not hot in the same way as a chili pepper. It is prepared traditionally in different parts of India using various spices. 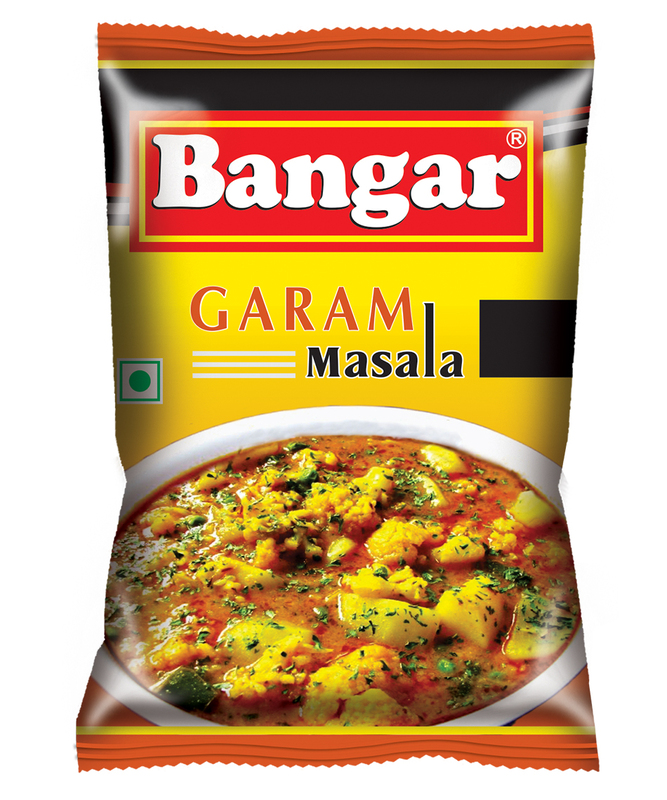 We present Bangar Garam Masala which will make your dish delicious & praises for the tasty food comes along. it is commonly used in for vegetarian dishes which requires a gravy also in filling snacks such as samosa, kachori etc. Anistar, Black Cardamom, Black Pepper, Caraway, Casia, Cassia leaf, Chilli, Clove, Clove leaf, Coriander, Cumin, Dry Ginger, Fennel Seeds & Common Salt. Wash the vegetables to be cooked. Cook the vegetables in ghee or oil as you normally do with usual spices. Add 1 1/2 tsp Bangar Garam Masala. Stir the vegetable on a low flame for 3 minutes. Keep covered for 5 minutes, so that the vegetable holds on the flavour and aroma of Bangar Garam Masala. In a few minutes the delicious vegetable is ready to eat.